/General /Is there a developer/multi-use license? Many customers have inquired about being able to use my items on multiple sites. 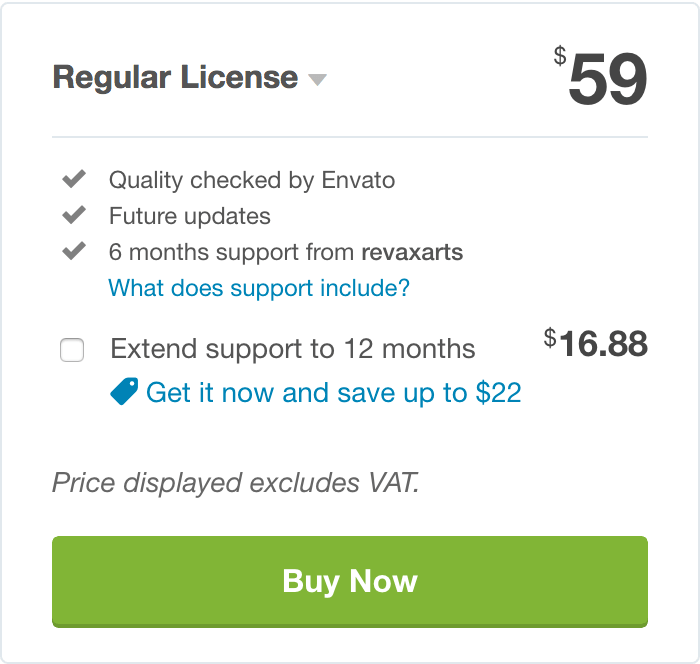 Currently, Envato only offers a single-use license. I would love to see a developer’s license or volume pricing available, but that has not yet become a reality. There’s a petitioned for multi-use licenses on the forum, but unfortunately there have not been any changes yet. As Envato is currently in the middle of a multi-stage license revamping, recent developments have suggested that Envato may be considering adding a developer’s license, but at this point there is no confirmation on that. So what are my options for using items on multiple sites? For now, the only option is to purchase an individual Regular License for each site on which my items will be used. I do apologize for the inconvenience of having to purchase individual licenses, I know it can be frustrating for those purchasing in bulk. I hope Envato will provide a better solution for this in the future. At the moment, my hands are tied. Can’t I just pay you directly for a developer’s license? Unfortunately, no. My exclusivity agreement with Envato means that I can only distribute my items through them. Making a side-deal would break that contract and jeopardize my standing with Envato. What about the Extended License? A common misconception is that Envato’s Extended License allows for unlimited usage of a plugin. This is incorrect. The Extended License is a single-use license with an extra provision for redistribution. It is not applicable to customers wishing to use a product on multiple projects, whether for themselves or clients. Hold on, you’re saying I can only use my items once? Some customers have overlooked that the CodeCanyon Regular License entitles the purchaser to a single installation. That means that for every WordPress site that you have Mailster activated on, you need to purchase an individual Regular License. 1 site = 1 license, 2 sites = 2 licenses, 3 sites = 3 licenses, etc. It does not matter if they are all in use by the same company, on the same server, by the same developer, etc. The license terms are single use – one license per site. This is part of why the price for the product is so inexpensive. If you’ve been using our items on multiple sites with a single license, don’t worry; just go ahead and purchase the proper amount of licenses now. Thank you for your repeat business! How can I manually upload Mailster templates?